and German through her mother. 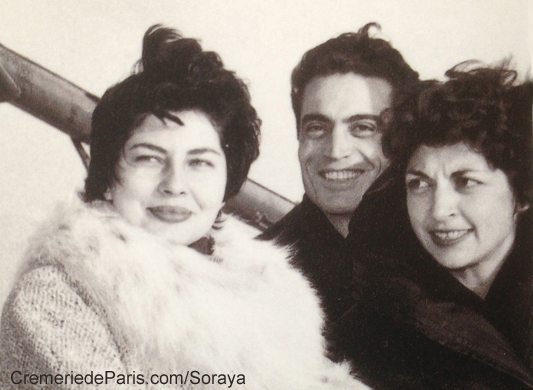 1932: June 22, Soraya was born in Isfahan, Iran. Her childhoon was between Isfahan and Berlin. 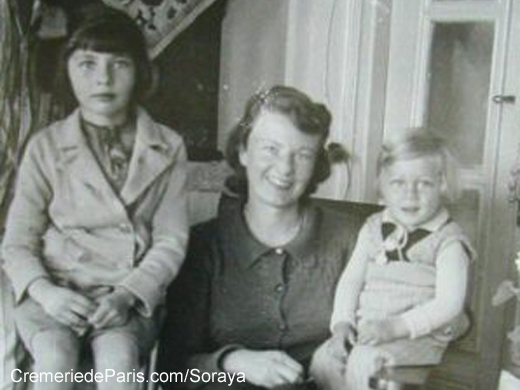 1947 Soraya was later sent to a Swiss boarding school in Montreux. Her legendary beauty had conquered Mohamed Reza Pahlavi, the Shah of Iran. and felt in love instantly. She was only 18 years old studying English in London. 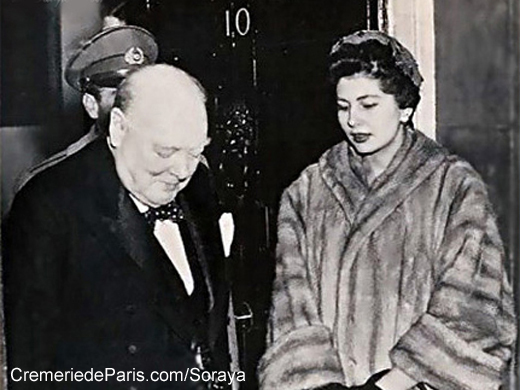 ... 1952: February 12, Soraya became the Queen of Iran. and the legandary Brazilian Aimée de Heeren. State visit of Queen Soraya at Buckingham Palace. and her young children Prince Charles and princess Anne. showing Soray in the at the time "provisional capital" Bonn and also in Hamburg. and they must have been impressed by her sensational beauty. during her internet lessons as very friendly but like having an invisible wall around her. 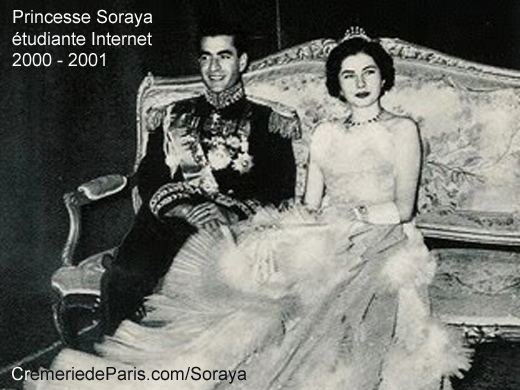 Soraya and the Shah were a very happy couple. It was Love from the very first moment. and the Shah needed an heir to transmit his throne. Maybe today medicine might have been able to help, but not at that time. The Shah tired all kind of solutions. 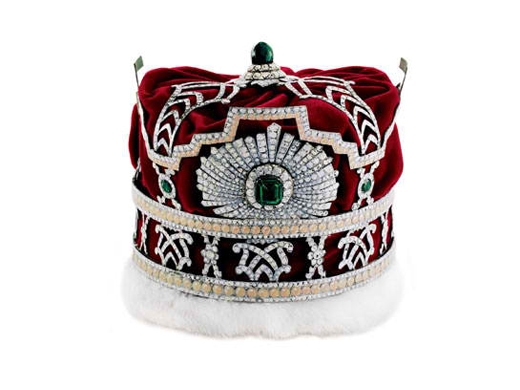 as an heir to the throne. but Soraya could not accept this idea, incompatible with her European education. 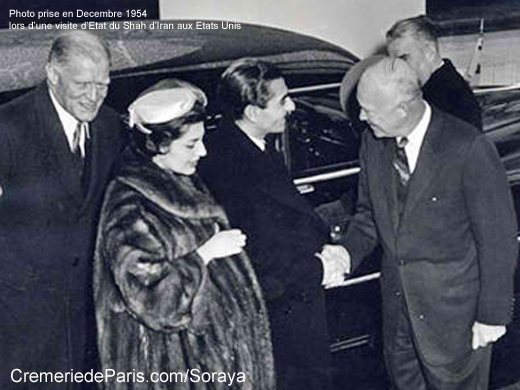 1958: February 13, Soraya saw Iran for the last time. from where she went on to St Moritz. The Shah called every day trying to convince her to return ... but without success. The divorce became official 1958 March 14. 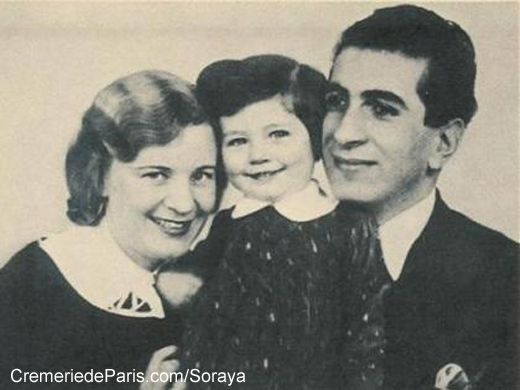 Soraya was only 26 years old. as long as she was not remarried. told the reporters "I shall always love him"
from one Hotel to another. giving birth to children without difficulties. 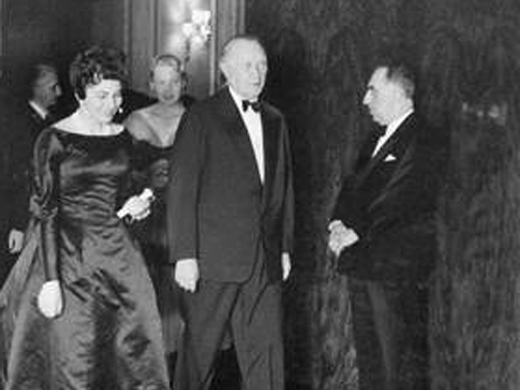 where she spend the New Years eve with Johannes von Thurn & Taxis at the Palace Hotel. Her mother and her friend Johannes try to help as they could. wrote a song "Je veux pleurer comme Soraya"
to describe the sadness of the Princess. Soraya tried to find a new sens to her life by trying to become an actress. From now on she lives between Cologne, Munich, Marbella and Rome. 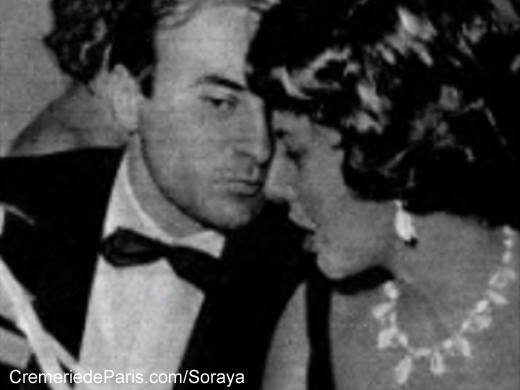 1976: Soraya moves to Paris where she lives at the Hotel Plaza Athenée. 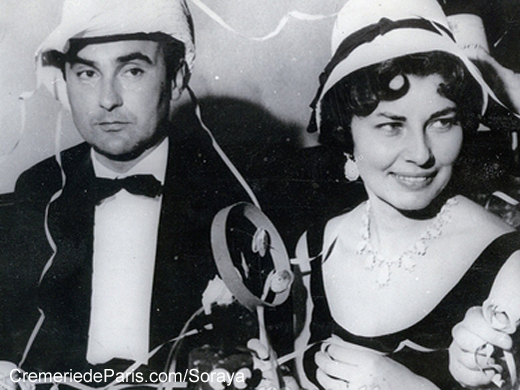 A little later the Shah buys her a flat on 46 avenue Montaigne, near the Plaza. The Plaza barman Luigi Colombetti still has a lot of souvenirs. 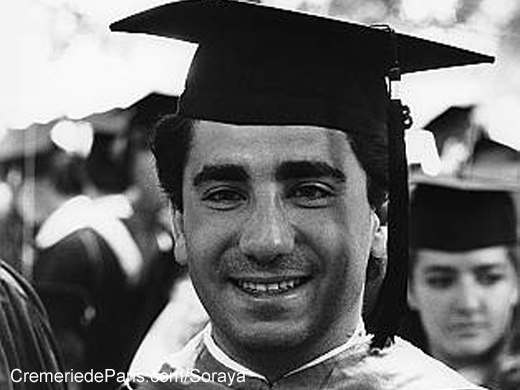 1991: Soraya published her mémoires "Le Palais des Solitudes". In the book she describes her solitude and her sadness. off Pienzenaustrasse in the district of Bogenhausen. At night she used to walk her dog. that also had dogs an lived nearby on Pienzenauerstrasse 88.
was a cousin of the great grandparents of the editor of this article. to have an ice cream with their wonderful great aunt. that it was Soraya, there were just too many people at the party. a hi profile French business consutant. but also a lot of young people, students, fashion models, actors. 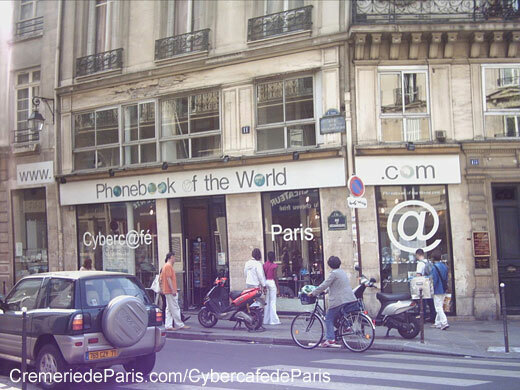 something completely unknown in Paris, Internet. 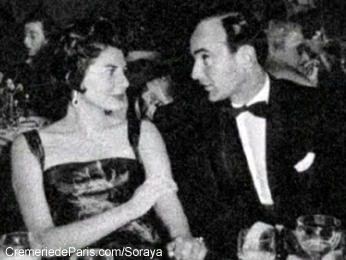 There she was, the legendary Princess Soraya. She was sitting in a corner looking at him with were beautiful eyes. ... even though most of the times she was alone. a birthday given by Jeanne Marie de la Rochefoucault. by her friend Massimo Gargia. For a moment the editor was standing next to Soraya. Again he was a little shy but this time he had to talk to her. 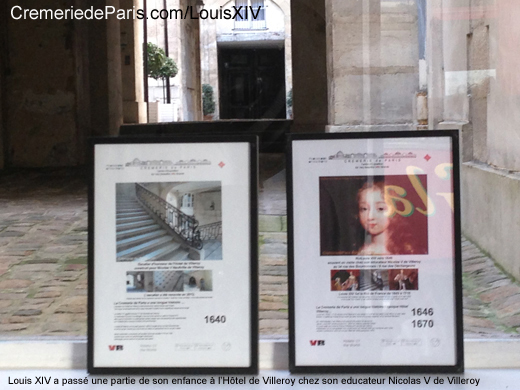 in the historic Cremerie de Paris N°1. It was the birthtime of the Internet. 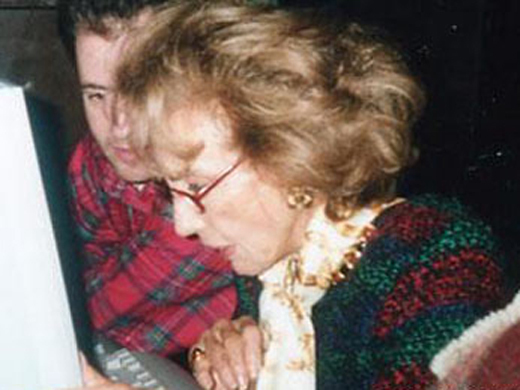 but she did not really know what Internet was. Also she felt too old for learning how to use a computer. 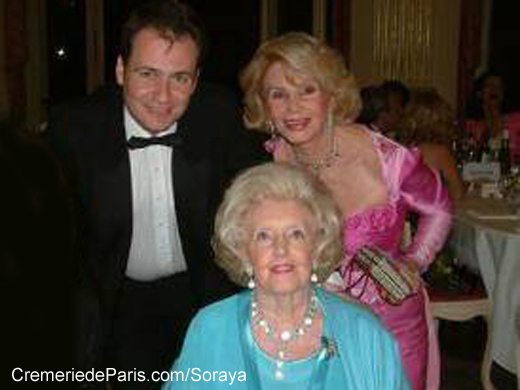 both Princess Soraya and the editor of this article spoke German. "You should go there Soraya, this will be fun and it will change your ideas". The first lesson took place. but she was very charming. with a great spirit and a lot of irony. "Can I come back another time ?". but with the Rolls Royce parked a little further down the street. son of the owner of the house, Nicolas V de Villeroy. in the 1920s and 1960s. 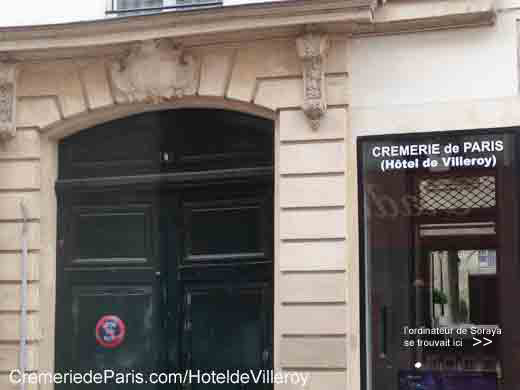 about all the historic things that have happend around the Cremerie. happening right on the spot. or placed she had known in the past. the editor only knew from history books. 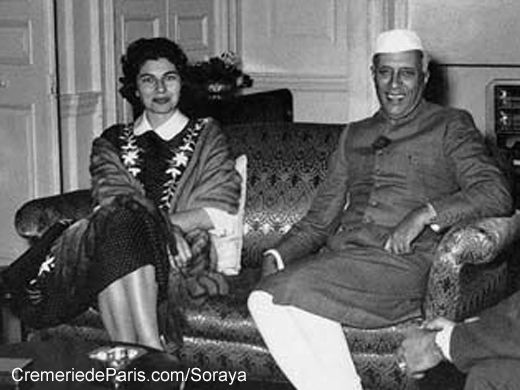 One could feel that she was still in love with the Shah. as long as he was still in power over Iran and the world's major oil fileds. regardless the divorce and the Iranian revolution. Unfortunately when going to "Google Image Search"
neither about herself, nor about the Shah. in an always changing world. but soon you will find out more about the past". both with "websearch" and with "image search". which makes it one of the biggest ones. Cremerie de Paris would be curious to know where the ring is today ? 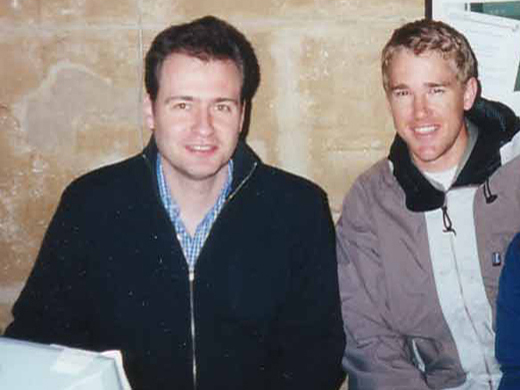 2002: May 29, It was sadly auctionned off by Beaussant Lefèvre. 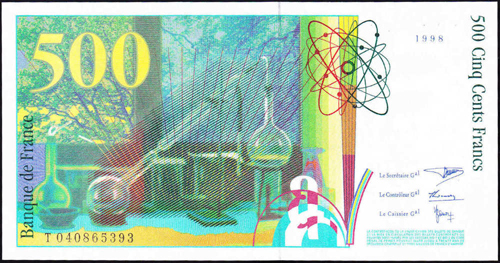 only the price reached at the time, 1.032.740 euro. that has come to the Cremerie through the long period of time. A little section in our website called "Fans"
tries to trace back some of them. 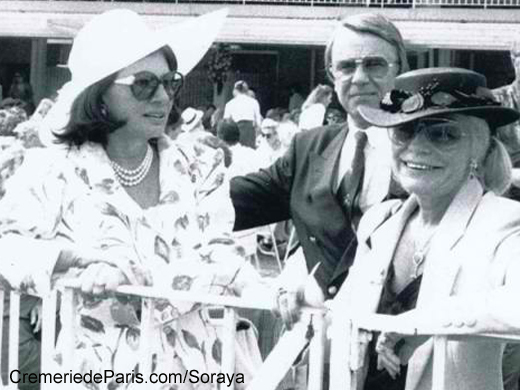 Soraya was one of those we had the chance to live in person. but with her mother, her brother Bijan or a friend. how easy it was to register a domain name. in a very different field connected to phonenumbers. 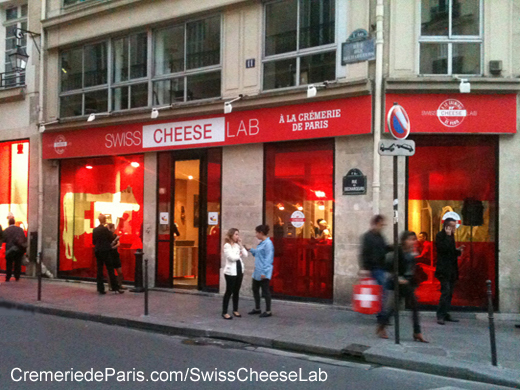 was invented at the Cremerie de Paris. The editor of this article never wanted to get paid for his lessons. They were so amusing and it was so fascinating to talk to her. As Soraya insisted she sometimes brought him some photographs as a present. and pulled out en envelope with a Hotel Plaza Athenée logo on it. many, many names were still available. had an "enormous domain shopping power". 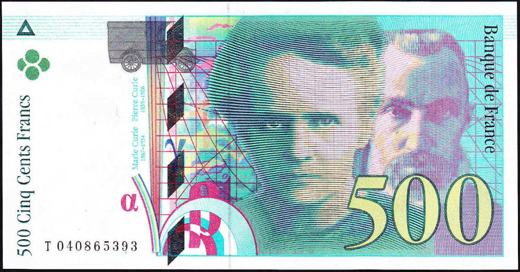 has been financed by a tiny bit of one of her 500 Francs notes. comes from the Cremerie's historic staircase. It was built in 1640.
went there to have a coffee break. the computer Soraya used at the Cybercafe. 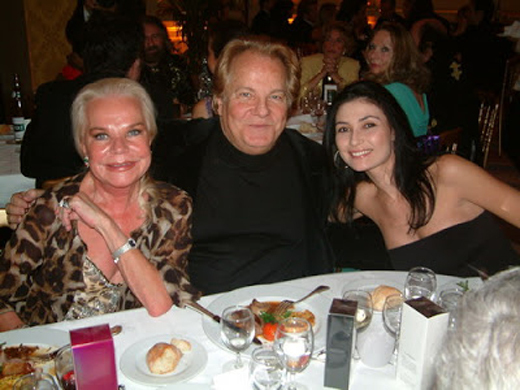 at the occasion of a fashion event in the petite Cremerie de Paris. that have been forgotten a long time ago. was googeling many people that have come accross her life. as if one could make a flashback into a past for which one was still too young. her parents and her brother Bijan Esfandiary-Bakhtiari. who had been very present for her after her divorce. She was sad that he had died much too early 1990, December 14.
or the St Moritz Palace Hotel. In fact he also had kept a little place in his heart for Soraya. to considerabely increase her assets once the Shah was longer there to help. around the former Comte de Paris. about some much younger people. or she only knew from pictures. who unfortunately did not even remember he had ever met the Princess. the younger son of the Shah. but at the time Google was not providing much information about them. that organises balls and events. she used the cafe to check her email while living in Paris. her lifelong friend, Lily Claire Saran. was Chahrizad Firouzabadian (also Iranian). in control of some of the world's largest oil fields. His fall in 1979 still has an impact on today's world. 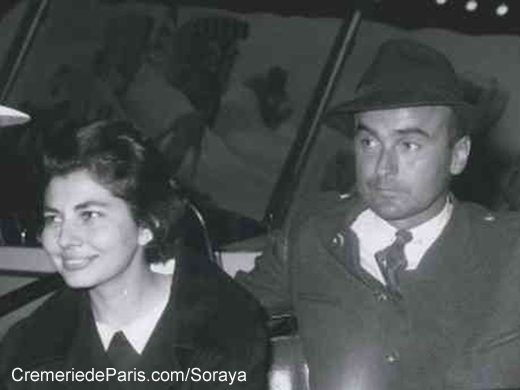 After her divorce in 1958 Soraya was often very lonely and isolated. when she had become the Queen of Iran. that she had not been well prepared for a normal life. ... always surrounded by people arranging everything for her. after having been in a "Golden Cage" was extremely difficult. Parkstr 8 / corner Marienburger Strasse. and 4 minutes from the Marienburg, the Villa of the Gerling family. This difficulty to adapt one could still feel during the Internet lessons. of the Four Seasons Hotel in Munich. in the Lobby of the Plaza Athenée in Paris. "If I imagine I might have been able to talk to her ..."
Madame, do you mind if I sit next to you for a few minutes ?? a fascinating conversation might have started. 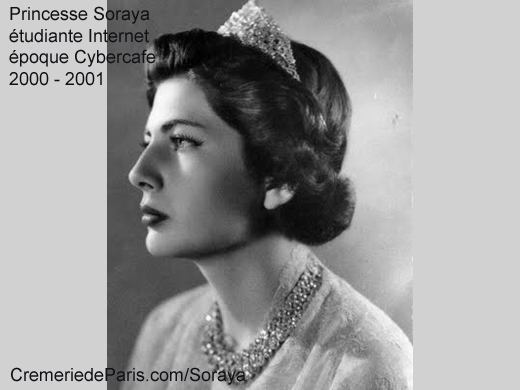 2001: October 11, Soraya died much too early. She was only 69 years old. some of the "joy of life"
the former Internet Cafe is surrounded by today. Today the former Cybercafe was transformed into a Pop Up Store and film location. 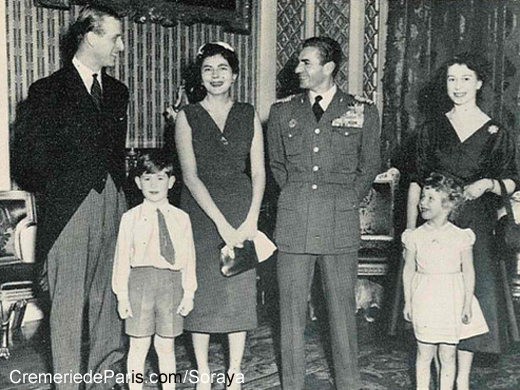 well Princess Soraya was one of them. It changes all the time, one expo followed by the next one. their originality and their sense of humor. Grand Hotels of the World ???" then it is too late". ... much more than what you even imagine. one day it's too late"